Note: This topic applies to all Micro-VersaTRAK uIPm, Mini-VersaTRAK mIPm, VersaTRAK IPm, ST-GT-1210, SixTRAK IPm, and IPm2m controllers. Just how much data can a SIXNET IPm-based DCS controller or RTU store? Use the steps below to calculate each datalog file size and the length of time you can store data in battery-backed memory or FLASH memory before the oldest data is overwritten. If multiple datalog files will be loaded into your controller or RTU, perform the calculation for each datalog file and add the results together to determine the total memory usage. STEP 1 - Observe the total number of bytes per datalog record: When you create a datalog configuration you will use the Record Content window to choose the I/O to be logged. The Record Content window includes a display of the total number of bytes each record will consume, based on the I/O you have chosen to log. STEP 2 - Calculate the number of datalog records stored per day: When you create a datalog configuration you will use the Capture Parameters window to define the rate at which I/O will be logged. Calculate the number of records logged per day, based on the logging rate you specify. Example: 1440 mins. per day ÷10 minute (logging rate) = 144 datalog records per day. Example: 144 records x 54 bytes per record x 1.10 (10%) = 8554 total bytes per day. STEP 4 - Calculate how many days you can log data before reaching a given file size: Divide file size* by bytes per day. Example: 400,000 bytes ÷ 8554 bytes per day @ 46.75 days. * By default, battery backed RAM (nvram) is used for datalogging, SIXNET and/or ISaGRAF retained I/O and any user files stored in the /nvram folder and its subfolders, if any. Alternatively, FLASH memory can be used for datalogging. The /home/datalog folder is used to store datalog records in FLASH memory. Is this enough data storage? Sixlog datalogging is just a front end buffer for your Windows software. You only need to store data in the IPm-based controller until it is transferred to the hard disk in your computer. The IPm file system uses file compression. Each datalog file will be small when it is first loaded and will increase in size as data is logged. The Resource Allocation Window (accessed from the configuration window for the controller) displays the amount of compressed nvram (battery-backed) usage. To view the worst case (maximum) nvram usage for the Datalog files and all other battery-backed files currently loaded into the controller or RTU, open the File Operations window for that controller / RTU. Browse to the /nvram folder and add up the file sizes for all files in the /nvram folder and subfolders (if any). If you are datalogging to FLASH memory, browse to the /home/datalog folder and add the file sizes for all files in that folder. The File Operations window displays the uncompressed file sizes, so the total of the individual file sizes will be an accurate representation of maximum nvram usage. IPm-based controllers and RTUs now have the ability to store datalog records in their FLASH file system memory. Most newer units have 16 megabytes of FLASH, of which approximately six megabytes are available to hold datalog records and user applications. The Resource Allocation Window (accessed from the configuration window for the controller) will display the compressed file system memory usage, including the amount of available free memory in your controller. In the example below, 9329 Kbytes are available. Because the file system is compressed, it is recommended that no more than six megabytes be used for datalogging and user applications. Data can be logged at a rate as fast as one second when FLASH memory is used for the data storage. Please note that storing datalog records in FLASH memory requires version 3.0 or newer IPm firmware and version 2.9 or newer of the SIXNET I/O Tool Kit. 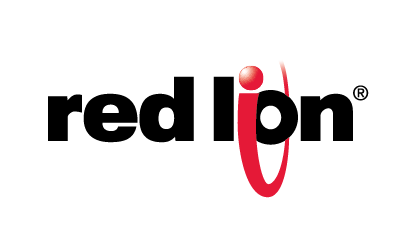 The latest version of firmware and software are available for download from redlion.net. IPm-based controllers and RTUs can be configured to function in a "client" mode, where the controller or RTU will send its Datalog records to a computer running the Sixlog Server or Citect Datalog Server. These servers look for "client" messages sent from SIXNET IPm-based controllers / RTUs and will write the data to file(s) on your computer’s hard drive or Citect trend history files as configured. This capability minimizes the amount of battery-backed memory needed for datalogging and also provides a way to send information to a computer upon an alarm condition. It is also useful in situations where it is desirable to minimize communication between the I/O and the computer.